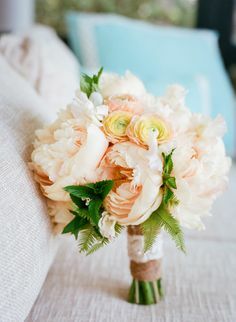 Working on a project for a client at present, we've become a bit obsessed with the peach palettes and especially peach peonies we've been encountering. We thought this Friday, since it's Labour Weekend, we'd keep it simple and show you a few of our favourite uses of peach through your wedding florals. 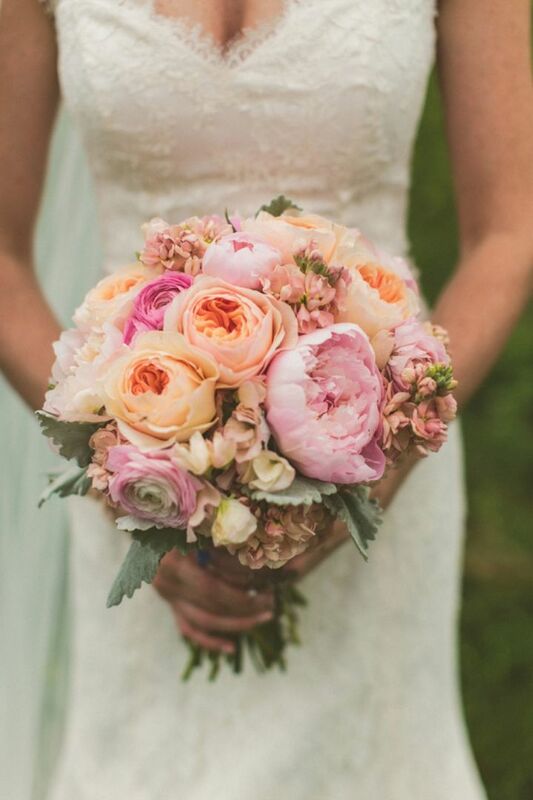 We love how vibrant yet elegant and understated peach flowers are and peonies with their feminine, graceful appeal are the perfect wedding flower. 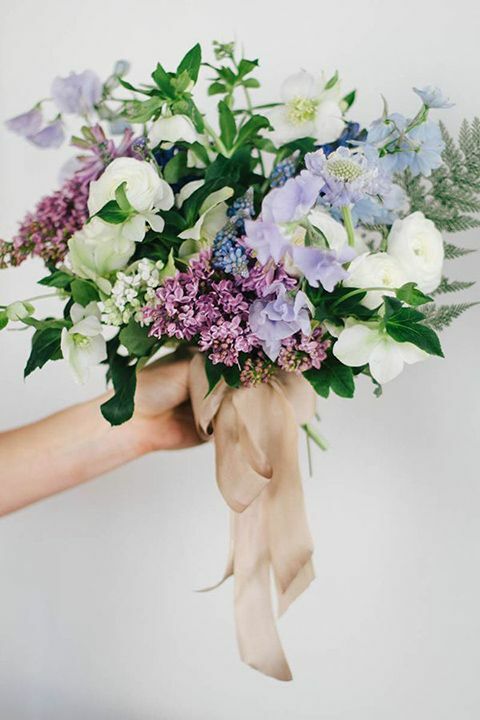 And remember, that Harlow Garland's florals department, HG Blooms is ready and excited to help you achieve your dream wedding bouquet or floral decor with our expert floral styling tailored entirely to you. 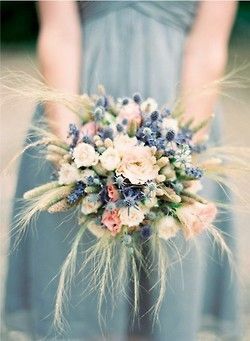 We also think that some peach peonies would look amazing tucked into bouquets like these to the right to complement the periwinkle blues, lavenders and dusty hay hues of the thistle and straw.